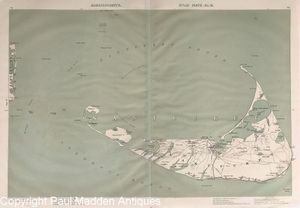 Scarce original map of Nantucket from the first edition Atlas of Massachusetts published by Geo. 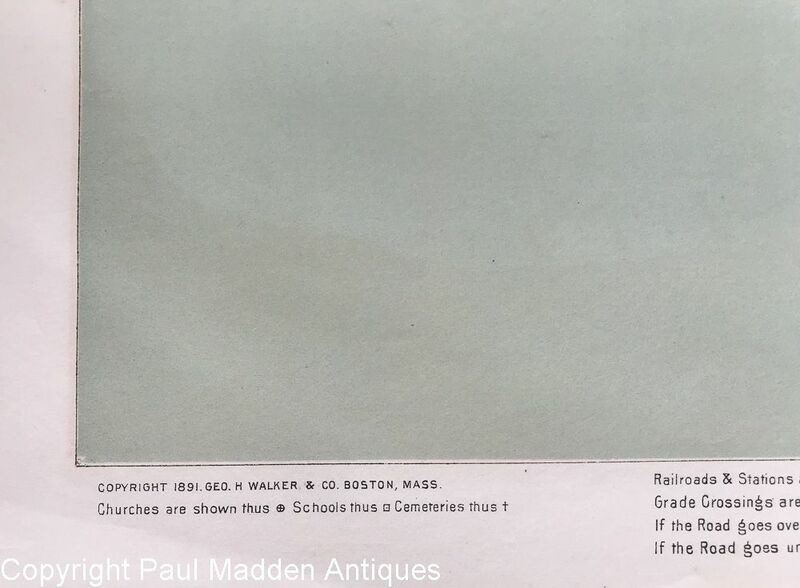 H. Walker & Co. in Boston in 1891. 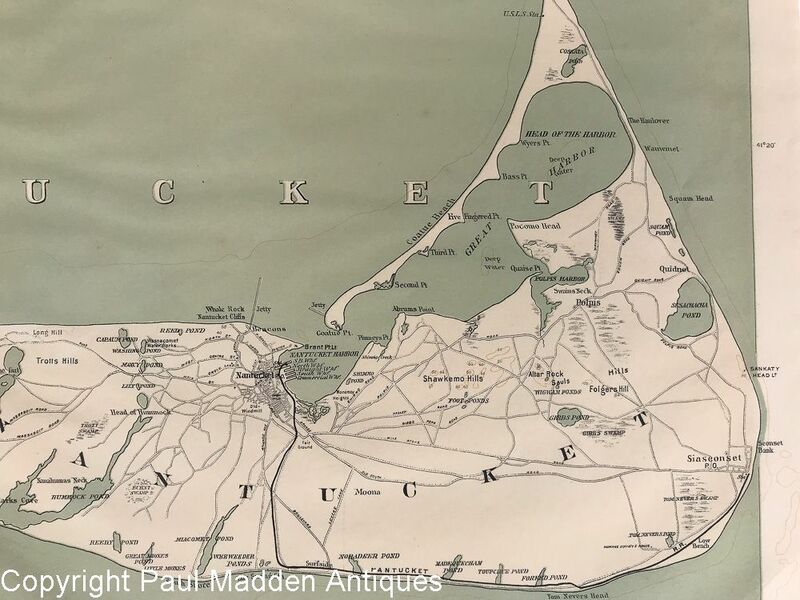 It shows the route of the Nantucket Railroad. Later editions were issued in 1904 and 1907. Excellent condition. Unframed, will be shipped flat. Measures 19" x 27-1/2".